Angel Di Maria has supposedly advised his manager Louis van Gaal to bring his Argentine international colleague Nicolas Gaitain to Manchester United this summer. The Red Devils are believed to be in the market for new signings in the attacking midfield area, with big names such as Memphis Depay seemingly on the club’s radar ahead of the summer transfer window. Gaitan is another to have been linked several times with a move to United, and it now looks as though Di Maria is pushing for his manager to spend big on bringing his fellow countryman to Old Trafford. The 27-year-old winger has impressed during his time with current club Benfica, though he may look a little expensive with a release clause of £36m, which has put United off in the past, according to the Daily Star. 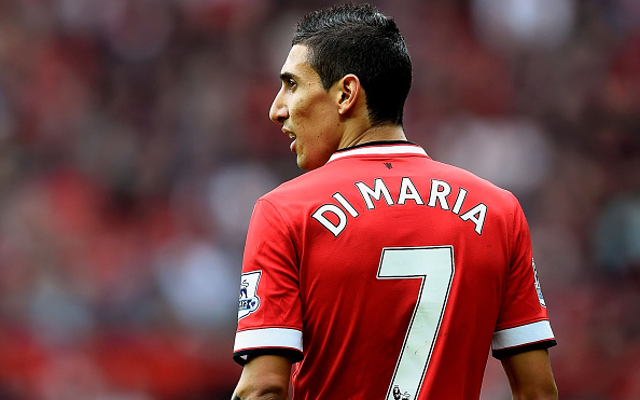 Di Maria has not had the best of seasons for United since moving from Real Madrid, and Gaitan may be a player who’d threaten his place in the starting lineup.